My kids have nightly homework-read for 30 minutes each night and work on math for 30 minutes. It's a regular routine around here, and being a teacher, of course I know the value of this practice BUT we've been enjoying sunshine and 20 degree (above zero) temperatures around here and that is something to celebrate. It feels like spring. We've lived here long enough to know that this is a cruel trick of nature and there is PLENTY of winter left in these parts, so we threw the routine and the homework to the side, hit the banks and enjoyed the sun tonight. We are up to 10 hours and 44 minutes of sunlight. We spent some time laying in the snow and soaking up some of that Vitamin D but these boys can't stay still for long! So here they are, hard at play work on their homework for the evening. Lucas plays the music while "M" does his sun dance. 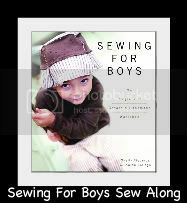 How Do I get Any Sewing Done?